Note – This is a one off preview into the story (Episode 1) before it is turned into a comic in the future by myself. Mai-Linna is a shadow elf exile; Always hunted by her own people for a crime she did not commit. Rein is a human war hero;a secret within him keeps him from aging or dying. The two of them are thrown together out of a need to survive an attack made by shadow elf assassins. 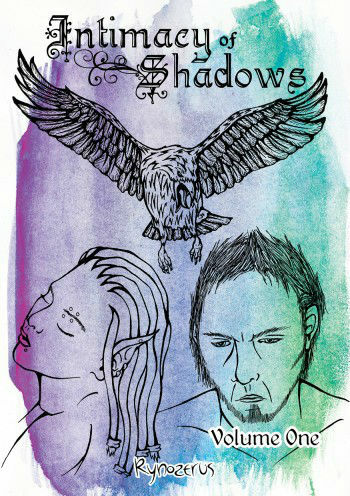 The two soon realise that their strange situation is only fuelled by their affinities for shadow magic. In this sneak preview of Intimacy of Shadows story, Rein and Mai begin their journey together for not only safety but because something within them refuses to be ignored.